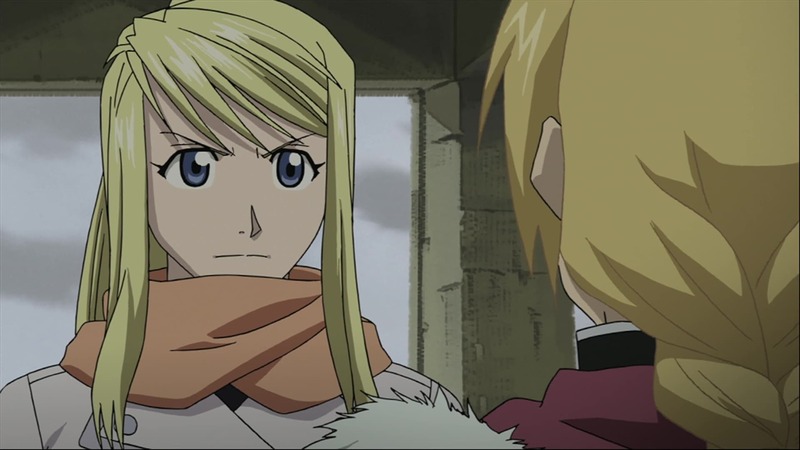 When faced with the option of judging her parents’ killer, Winry decides to heal Scar’s wounds, knowing it would be something her parents would do. Miles explains to Scar that he joined the military to gradually change the way people think of Ishbalans. Since Marcoh and May need Scar to decipher his brother’s research, Miles offers to hide everyone at Fort Briggs, with Al insisting on sparing the two chimera. 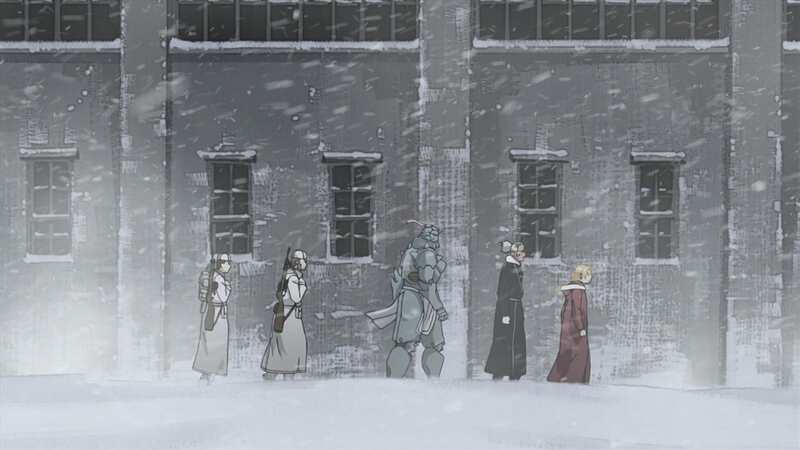 While Marcoh and company head for Briggs via tunnels in the mines, Winry comes up with rouse to make it look like Scar has kidnapped her to elude Kimblee just before a blizzard sets in. 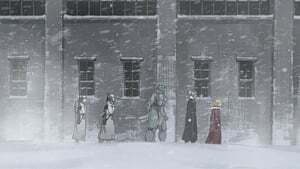 However, as Marcoh’s group heads for the fort, Miles gets word that Olivier is no longer at Briggs and the fort is being manned by Central people. Al goes into the blizzard to find Marcoh’s group and warn them. While in the blizzard, Al briefly sees his body, and wonders if it is trying to get its soul back. 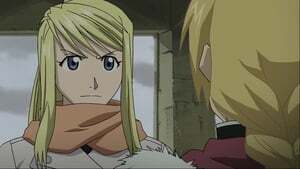 Meanwhile, Father makes plans involving Ed, Al, Hohenheim, Izumi, and one more candidate.